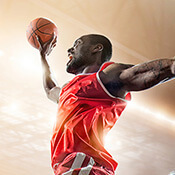 Our NBA betting writers will help you bet smartly with previews and tips focusing on the world’s biggest and best league. BetStars has a wide range of markets available and our expert analysis of all the statistics and form of all 30 teams in the NBA will allow you to make informed sports bets on the road to the NBA Finals. Denver is looking to advance to the second round for the first time since 2009.